Oil is your car’s lifeblood. When you need an oil change, there’s only one crew to call. Here at Avalon Motorsports, we know German autos, and we’ll help you to select the right oil for your vehicle and its performance. In general, an oil change should be performed every 3,000 miles or so; you can consult your owner’s manual on recommendations for your vehicle’s make and model, or give us a call if you’re curious. Learn more about our oil change services. You trust your car to stop short when it counts. That means that you need to have thick pads, working discs or drums, working brake lines, and a foot pedal that makes it all work. Read more about our brake work. Your timing belt is integral to your engine, and a damaged timing belt can be a catalyst for further problems. Beyond that, if you have a timing belt that snaps, it will destroy your engine and total your car. In short, keeping a working timing belt in your vehicle isn’t just a good idea, it’s a must. If you’re overdue to swap out your timing belt, or if you’re experiencing issues that can be caused by a timing belt malfunction, we’re here to swap out your belt. Take note, timing belt replacement requires special care from a mechanic, since your engine will need to be disassembled and reassembled in order to replace the belt. That’s why timing belt replacements are relatively expensive in comparison with other maintenance requirements. That said, it’s essential for the health and efficiency of your vehicle. Consult your owner’s manual for guidelines on how often you should change your timing belt, and as always, you can count on Avalon Motorsports to replace your timing belt. Learn more about our timing belt replacements. Have a slipping clutch? Is your engine whining as you shift gears? Or maybe something’s not right when you’re in neutral. Regardless of the issue, we can help. We provide transmission repairs, replacements, and flushes for German-made vehicles. Don’t let your vehicle’s gears grind — trust Avalon Motorsports to keep your transmission running smoothly. 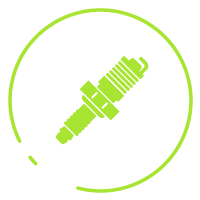 Learn what we can do for your transmission. If your car won’t start, your battery may be to blame. If you’ve noticed that your battery won’t hold a charge, or if you have faulty wiring in your vehicle, we’re the crew to call. We can fix any and all electrical problems that your car may have. Bring your vehicle into the shop and we’ll diagnose your electrical systems — we can also test the strength of your battery. Learn about our battery and electrical services. Flushing your fluid systems ensures that they don’t get gunked up with grime and particulates that can seep into your system. Plus, a flush ensures that all of the fluid in your vehicle functions as it should. While old fluids, such as radiator fluid, can reduce the performance of your vehicle’s components, as well as the overall performance of your vehicle, flushed systems enhance your vehicle’s performance and the longevity of its components. Keep your car in tip-top shape with our fluid flushes. Your cooling system is an incredibly important part of your engine. It keeps your engine and its valves cool enough to prevent warping and damage which can occur when your engine red lines. If you’ve noticed that your car’s temperature constantly fluctuates, and it can’t keep its cool, we’ll take a look to identify the problem. We can fix and maintain any part of your German vehicle, from its fans to its antifreeze. Learn about our radiator services. There are a thousand components in your engine that need to work in perfect unison to transfer power from your foot all the way to the tires. If you’re experiencing poor performance from your vehicle, or if that nifty little “check engine” light pops on, we can diagnose and repair your vehicle. Don’t drive your car with an underperforming engine — at the very least, you could lose power and engine efficiency, or, at worst, you could burn up your engine altogether. When things aren’t working as they should, it’s time to bring your car into the shop for engine diagnostics and repairs. Let our German-auto experts take a look. The drivetrain of your vehicle transfers power from the transmission to the axles. While that may sound simple enough, modern vehicle drivetrains are comprised of a series of moving components, including transfer casings, drive shafts, and differentials (which are made up of an even more elaborate concoction of components). That means that your drivetrain is liable to fail in the same way that any other mechanical component of your vehicle might. If you’re experiencing drivetrain issues caused by wear and tear or a bump in the road, we can repair or replace your drivetrain. Your vehicle’s alignment doesn’t just keep the car between the lines as you cruise down the highway. Proper alignment is essential to maintain the efficiency of your vehicle. Plus, aligning your wheels will ensure that your tires don’t wear out prematurely. Here at Avalon Motorsports, we provide wheel alignments as part of your vehicle’s regular maintenance, and we can align your vehicles if you’re having work completed on other components of your car (for example, your struts). Learn more about our wheel alignments. Need a fresh set of tires to plow through the snow this winter? Or perhaps you need to replace a wheel from that giant pothole on I-25. Regardless of your needs, we’re here to upgrade or replace your wheels and tires. We can also provide you with advice if you’re thinking about getting a new set of tires to improve your vehicle’s performance. Stop by the shop today to talk tires, or learn more about our wheel and tire services. Here at Avalon, we treat vehicle care a bit differently. We value trust, quality, and convenience. Speaking of convenience, we can even provide a complimentary rental vehicle if you’re stuck without transportation while your car is in our shop. In addition, we continually educate our staff on Audi, BMW, Volkswagen, Porsche, and Mini diagnostics and repairs. In fact, each member of our staff goes through 25 hours of training per year, improving our teams customer service, diagnostic capabilities, repairs, and awareness of new technology. We’re also backed by a long history of mechanic excellence. We’re a family-owned company, and we’re proud to have clients that come back to us time and time again, regardless of their needs. We strive to go above and beyond with each repair, every maintenance job, and every vehicle upgrade that we install. We’re a German auto repair shop that’s beyond the status quo.